For example, let's say I want to target your monthly newsletter readers. 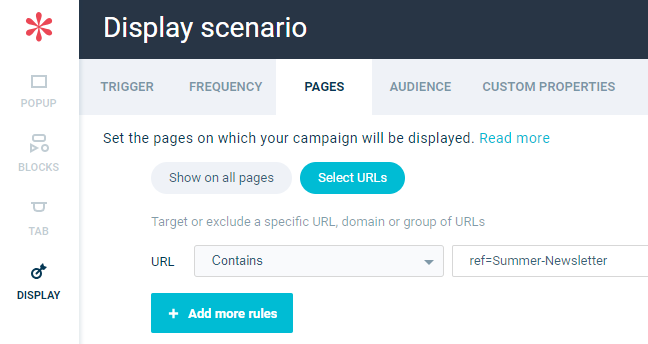 You tracked your newsletter with the following UTM parameters: https://wisepops.com/?utm_source=monthly-newsletter&utm_campaign=Summer-Campaign&utm_medium=email. Open your popup and click "Display" in the left menu and "Audience". 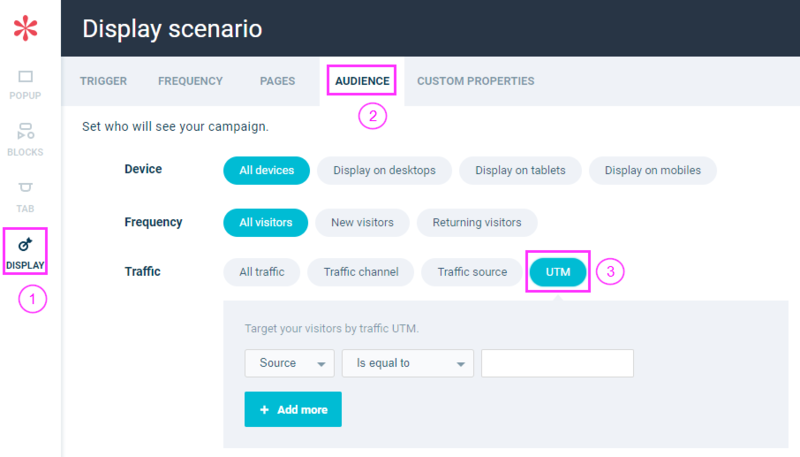 Then, next to "Traffic", click "UTM"
Feel free to add other UTM parameters to be more specific. What if you're not using Google Analytics? You can add any parameters to your newsletters' links and target them. Using the same example: I'll add the following parameter to my links https://wisepops.com/?ref=Summer-Newsletter. Once it's done, click "Display" in the left menu, and "Pages". Create a "URL contains" rule and paste your parameter. Feeling overwhelmed? Get in touch with us!